Encino Dental Studio Blog Why is Gum Health So Important? When your dentist talks to you about taking care of your smile, you likely think primarily of your teeth. But your teeth aren’t the only part of your smile; you have to take care of your gums too. Gum health is essential to your overall health, but it’s also crucial to a healthy, beautiful smile. Are bright red or pale/white. Allow your teeth to move in place. Brush Gently: Use a soft bristled brush or an electric toothbrush that spins or vibrates to clean the gumlines. Avoid applying too much pressure, as this can increase the likelihood of gum recession. Make sure you brush at least twice daily. Floss: Use floss to clean in between your teeth, gently pulling out food particles and plaque that tends to build up. Make sure to rub the floss on the sides of each tooth, keeping it snug against each one as you slide up and down under the gumlines. Floss at night so your mouth will be cleanest when you go to bed. Rinse: A daily swish with a non-alcoholic mouthwash can help to rinse away loose bacteria and microbes. Avoid or Quit Tobacco Products. Tobacco products inhibit healing in the soft tissues of your mouth. 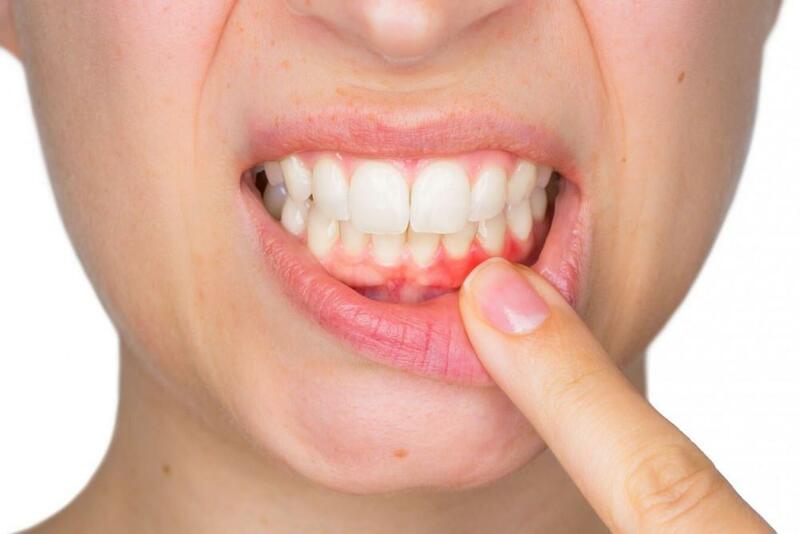 It causes dry mouth and creates the perfect environment for the bacteria that cause periodontal disease to thrive. Scheduling and keeping your six-month checkups with Dr. Jamsheed is a great way to stay on top of your gum health. Contact Encino Dental Center to schedule your appointment!